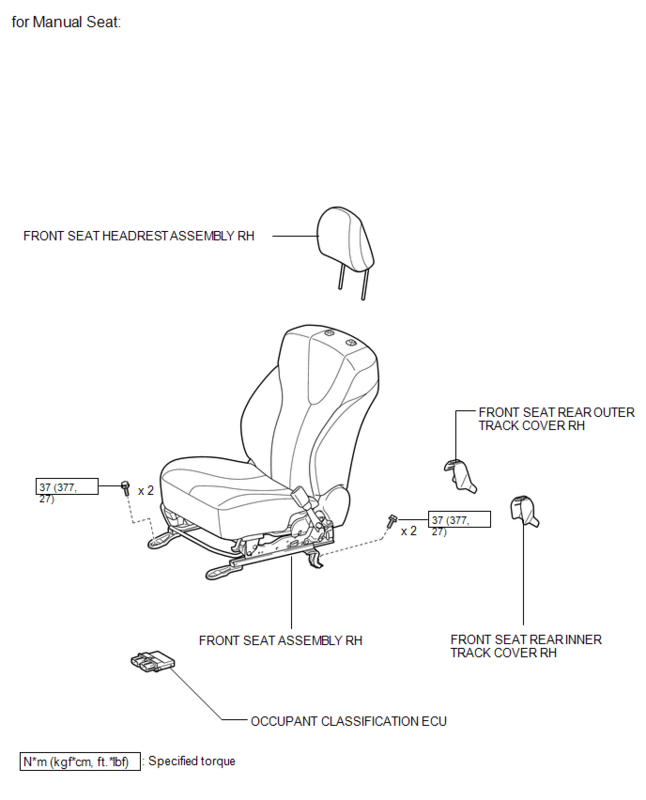 Be sure to follow the correct removal and installation procedures of the occupant classification ECU. Cracks, dents or chips on the case. 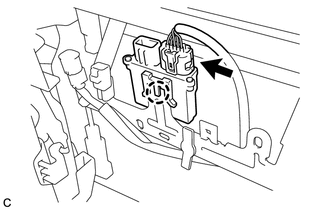 (a) Disconnect the connector from the occupant classification ECU. 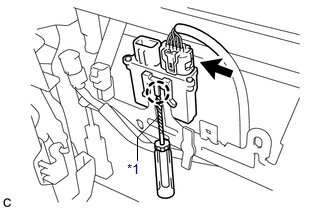 (b) Using a screwdriver with the tip wrapped with protective tape, disengage the claw to remove the occupant classification ECU. (a) Install the occupant classification ECU with the claw. 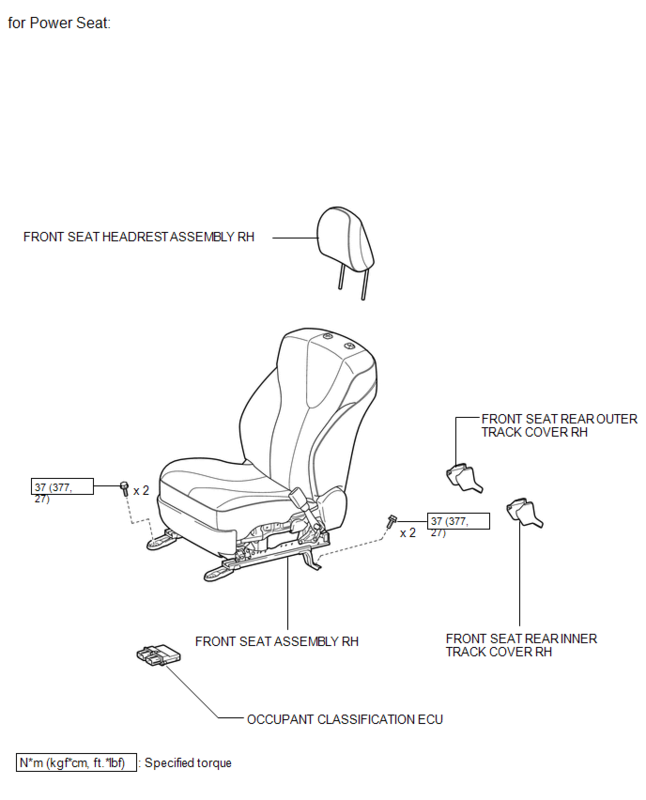 If the occupant classification ECU has been dropped, or there are any cracks, dents or other defects in the case or connector, replace the occupant classification ECU with a new one. When installing the occupant classification ECU, be careful that the SRS wiring does not interfere with or is pinched between other parts.